Photo Stocking Stuffers, in no particular order. In case you missed them, here are the links to our compendia of photo gifts perfect for holiday giving under $100 and under $50. Also known as a power brick, this 10,000 mAh rechargeable battery from Tether Tools is a must-have for today’s power-hungry phones, tablets and other USB-powered devices. Measuring a scant 0.5 x 2.75 w x 5.4 inches, this beauty weighs less than 10 ounces and provides up to 50 hours of power to an iPhone 6, or 20 hours to an iPad Air 2. Just plug in the phone and keep talking. Perfect for weather blackouts, extended airport delays and very longwinded people. A thoughtful and useful gift at $49.99, it can be purchased directly from Tether Tools if you can’t find it at your favorite photo specialty store. 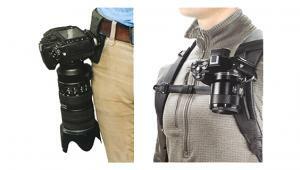 From our friends at Cotton Carrier, a universal hand strap that provides comfortable security and includes an Arca-Swiss-compatible tripod mounting plate. If you’re like me, dealing with a drooping neck strap that dangles and tangles when your camera is on a tripod is a pain you’d like to avoid. 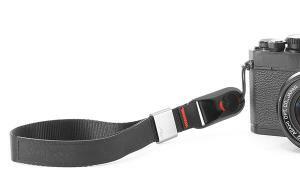 The CCS Hand Strap eliminates that aggravation entirely. Also great for inconspicuous street shooting. Be a hero and drop twenty bucks on this always-useful accessory for a friend—or yourself. 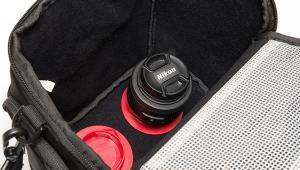 Available for $19.95 from Cotton Carrier and many camera shops. Great for travel and inclement weather, this flexible, durable, water-shedding neoprene camera cover is available in several sizes and three colors (snazzy blue, Gestalt gray and obligatory black) and attaches to your camera without snaps or zippers. Provides bump and moisture protection, and compresses for storage when not deployed. 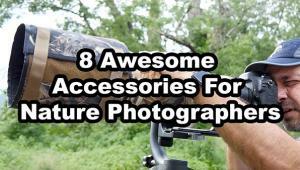 Includes a removable retainer that clips onto the camera strap and allows the cover to hang out of the way while shooting. 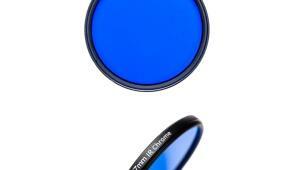 Tip: buy the blue color; you can easily turn it inside-out if you want black instead. 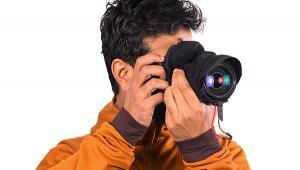 The Zing SLR Cover is part of a full assortment of neoprene camera covers, lens cases and straps. 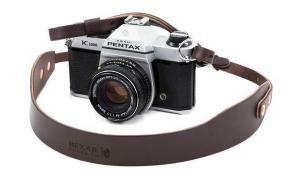 Costs about $25 and can be obtained from the source (Tiffen) or any major photo store, including Adorama and B&H. This is one of those gizmos that you know you really need the minute you see it. How simple is this? 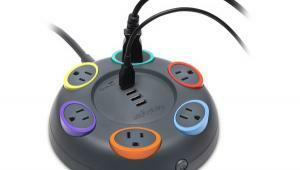 Plug it into any standard wall outlet and Presto! You have two USB charging ports. Charge two devices at the same time for less than a ten dollar investment. It’s another fine product from Tether Tools and it’s available in US, UK and Australian electrical standard models. Pay $9.99 for the USA wall outlet model at Tether Tools and many photo retailers. Ahh—this baby takes me back to the days of colorful wide straps that encircled the necks of photographers in the ‘60s and ‘70s. Unfortunately, those old models often came with snap hardware that would humble the most vicious attack dog and scratched the hell out of an SLR. That problem’s been solved with BlackRapid’s Groovy Straps (forgive the name). 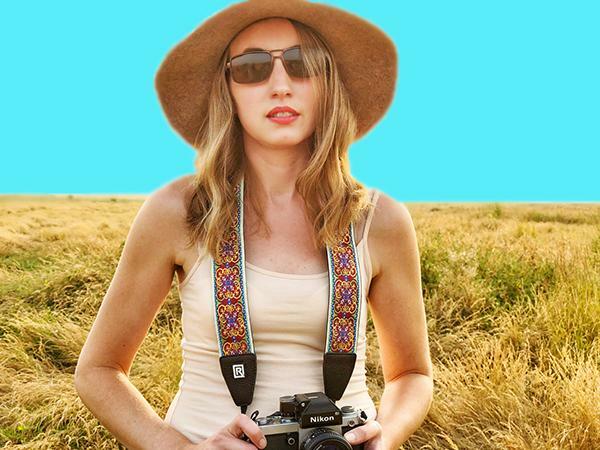 To quote BlackRapid, “Taking cue from the photography industry’s gesture of bringing back retro cameras, we’ve designed two different guitar-strap-like patterns that are perfect for the photographer wanting a stylish strap with a positive vibe for their mirrorless, film, and vintage cameras.” Unleash the inner Hippie in your loved one for only $29.95. 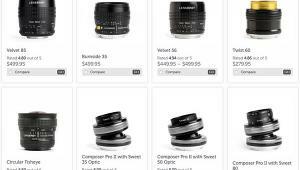 Buy from BlackRapid or your favorite camera source. Like far out, man. It’s an advanced USB 3.0 card reader that handles SD UHS-II, microSD UHS-II and CompactFlash (UDMA 7). USB 3.0 delivers download speeds up to 500MB/s (10X faster than USB 2.0) so it’s ideal for today’s large video and/or raw files. 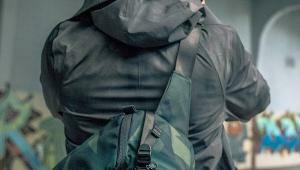 Part of Delkin’s Black Line of high durability products, the build quality is sublime and the construction utilizes a combination of aluminum and plastic to offer ruggedized protection. Order online from Delkin for $49.95. Call it a blower or a dust-removal tool, either way it’s an indispensable accessory for all DSLR owners and still be best way to remove light dust from a camera’s mirror and sensor. Made of durable silicone rubber, it’s easy to use and should last for many years—decades, even. Tip: don’t use your breath when cleaning an image sensor because it transmits undesirable moisture; also, hold the camera upside-down when cleaning so that the dust falls out (as opposed to being merely relocated). At 6.6 inches long it fits in most gadget bags and features built-in rubber feet that allow it to stand upright on a flat surface when not in use. Most camera shops have them, or you can get them for $9.99 from Amazon. Cool all year round, and especially nice during the holidays, photo gifts from Bay Photo come in many shapes and sizes. If your family decorates a tree in December, commemorate the season with photo ornaments made of metal or bamboo—there’s a wide assortment to choose from. And to make any occasion special, decorate envelopes, packages and just about anything else with custom printed photo stickers. Available in 3 x 3 inch and the far more useful 2 x 2 inch size, prices start at $12 for 40 pieces and can be ordered online from bayphoto.com. Not a photo accessory exactly, a Leatherman tool is an accessory for life. I own a couple of them, including the engraved model Minolta presented at the 1985 Minolta Maxxum 7000 press conference in New York City. I guess my love affair with these amped-up pliers started then. My favorite model is the Leatherman Rebar, which includes Needlenose Pliers, Regular Pliers, Premium Replaceable Wire Cutters, Premium Replaceable Hard-wire Cutters, Electrical Crimper, Wire Stripper, 420HC Knife, 420HC Serrated Knife, Wood Saw, Awl with Thread Loop, Ruler, Can Opener, Bottle Opener, Wood/Metal File, Phillips Screwdriver, Large Screwdriver and Small Screwdriver. Available wherever high quality tools and knives are sold; they cost $47.95 and can be purchased directly from Leatherman. Although I’m not a fan of smartphones that masquerade as cameras, I set my personal bias aside once again and offer this ten-dollar gift idea that really makes sense. Attached to the back of a smartphone or table, a PopSockets Grip gives the user more secure control over the device when shooting selfies or texting, and doubles as a prop-up stand for watching vids, etc. Only $9.95 and available in many different patterns and colors at Amazon and about a zillion other online shops at a similar price.